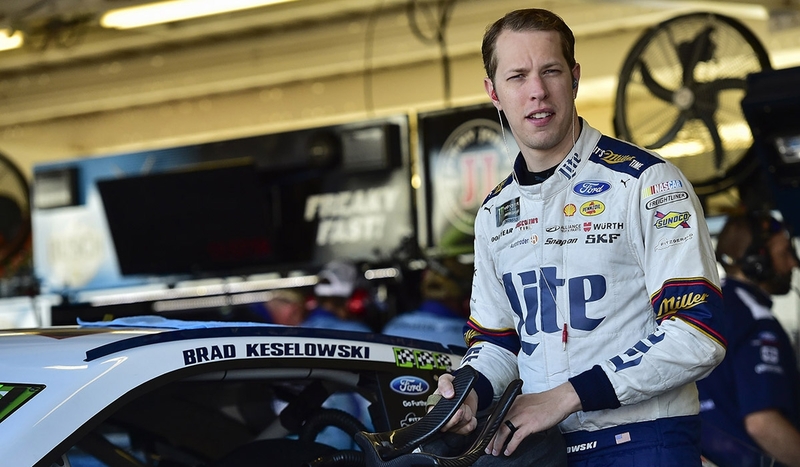 Brad Keselowski had speed at Martinsville, execution at Texas and luck in Phoenix—now the No. 2 Miller Lite Ford Fusion driver hopes he can mix together all three elements of the winning formula as he fights for his second Monster Energy Cup Series title Sunday at Homestead-Miami Speedway. BK’s great speed led to a second-place finish at Martinsville, and strong execution earned him another Top 5 the following week in Texas. In Phoenix, the speed wasn’t there, but the 2 Crew was fortunate as Kes’ top rivals in the Cup standings bowed out due to wrecks, sending the team to the Ford EcoBoost 400 as one of four drivers competing for a championship. A strong start to the 2017 season gave Brad a strong foundation of playoff points, essentially granting him that fourth-place spot all the way through the postseason. He breezed through the Round of 16, won at Talladega to advance through the Round of 12 and used a cocktail of speed, execution and luck to survive the Round of 8. He’s joined by Kyle Busch, Martin Truex Jr. and Kevin Harvick. The two Toyotas of Busch and Truex have been the fastest machines in NASCAR all season long. BK is well aware that he isn’t the favorite, but the Team Penske driver is relishing the underdog role. Brad’s three Championship rivals all will bring momentum into Homestead. Harvick is fresh off an impressive win in Texas, Busch won the week prior at Martinsville, and Truex dominated the first three 1.5-mile events in the Playoffs, winning at Chicago, Charlotte and Kansas. However, BK isn’t worried about who’s hot and who’s not going into the winner-take-all season finale. While BK’s No. 2 Miller Lite Ford might not have the mile-and-a-half prowess of its Toyota counterparts, it has a driver who knows how to perform when a title is on the line. This will be Brad’s first Championship 4 appearance since the alteration to the Cup postseason, but he’s gone to Homestead to race for a championship before in 2012, and when he did, he came home with the crown. The White Lite will roll out for practice Friday at 1:55 p.m. ET before qualifying at 6:15 p.m., both to air on NBCSN. CNBC will carry Saturday’s first practice session at 10 a.m., while the 1 p.m. session will air on NBCSN. Finally, the 2017 MENCS champion will be crowned Sunday. The Ford EcoBoost 400 will go green at 2:30 p.m. ET and will be broadcast on NBC.